Ever since rumors surfaced that a mid-engine Corvette may soon be upon us, we’ve been briefly reflecting on some of the mid-engine Corvette concepts General Motors has built over the years. 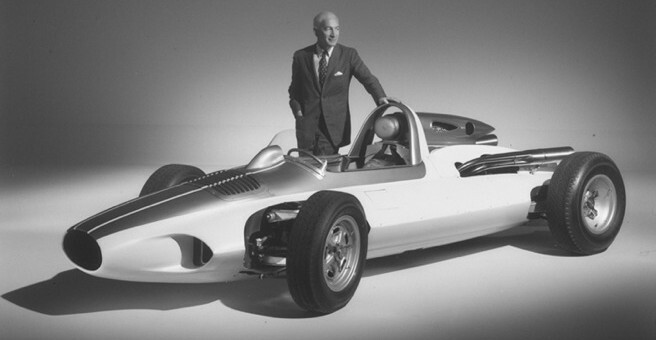 The biggest advocate of the mid-engine Corvette, Zora Arkus Duntov, put the idea in everyone’s heads when he started the Chevrolet Experimental Research program, also known as CERV. The better known of the CERV projects was the CERV II, as it actually resembled what a Corvette of the time might look like if it had the engine behind the driver. The CERV I was the more radical of the two, with an open-wheel, single-seat layout designed to put new Chevrolet body, chassis and suspension systems to the test. The CERV I was developed between 1959 and 1960 by Duntov and designed by Larry Shinoda and Tony Lapine. The body structure was made from fiberglass and weighed only 80 lbs., which was attached to a rigid 125 lb. chrome-molybdenum tube constructed frame. The car used four-wheel independent suspension with shock absorbers and a stabilizer bar in the front and a multilink double shock absorber setup in the rear. Power came from a 283 cid. 350 horsepower small block V8, which thanks to the use of aluminium and magnesium weighed just 175 lbs. Eventually this engine was swapped out for a 377 cid. aluminum small block coupled with an advanced Rochester fuel injection system. Chevrolet engineer’s relentless pursuit of weight reduction in the CERV I was not only forward looking, but helped the car achieve an incredible power-to-weight-ratio for the time. It weighed in at only 1,600 lbs when fully topped off with all necessary fluids, which also gave it a top speed of 206 mph in 1960. Duntov originally wanted to go racing at Indy with the CERV I, but due to the Automobile Manufacturer’s Association’s ban on manufacturer-sponsored racing at the time, he was unable to do so. Duntov instead drove the CERV I during demo laps at the U.S. Grand Prix in 1960 before beginning work on the CERV II, which he had also hoped to go racing with.